As we all know very well that the change in Microsoft’s attitude towards Linux and open-source software has changed a lot over the years. Hence, Microsoft announced that now it will be part of the Linux Foundation, a nonprofit organization that works in order to standardize and help Linux to grow. The change in Microsoft’s attitude towards Linux and open-source software has changed a lot over the years. The Microsoft announced on Wednesday (16) during the event for developers Connect , which will be part of the Linux Foundation, a nonprofit organization that works in order to standardize and help Linux to grow. 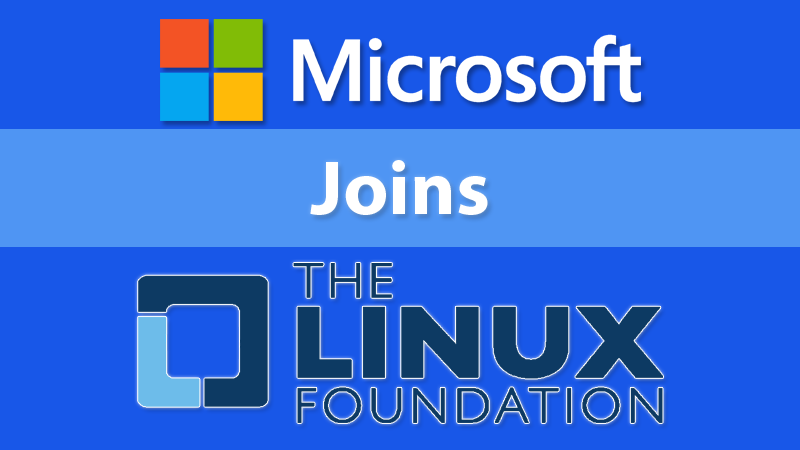 After showing the world that is committed to contributing to Linux, Microsoft decided now formalizing it, with its accession to the Linux Foundation, which will soon be a full member. However, the company said it will be a Platinum member. As such, the organization will donate US $ 500,000 annually. This is the highest category of the foundation. To be part of it, Microsoft joins companies such as HP, Intel , IBM and Oracle. “As a cloud platform company, our goal is to help developers to achieve more using the platforms and languages they know. The Linux Foundation is home not only Linux but also of many open source projects most innovative community. We are excited to join the foundation and to partner with the community to help developers take advantage of the shift to intelligent experiences in cloud and mobile,” said Scott Guthrie, head of cloud computing and Microsoft corporate market division. The announcement though seems surprising, it is not. In recent years, Microsoft has been investing heavily in both the Linux and open source universe as a whole, there are recent examples of this new approach, such as the availability of .NET, SQL Server, PowerShell and Visual Studio Code for Linux, its own Linux distribution, based on Debian, and even the arrival of Bash to Windows 10.